Karl Ove Knausgaard has this way of taking a phenomenon that otherwise seems spent – whether it be kinds of interactions or relationships, or the human face, or an object like a standard 1970s telephone – and turning it and turning it, until suddenly it’s as though we’re hearing about it for the first time. He’s successful here in part because you can see and feel him trying to present the wonder of the world to someone who is new to it. In recent years, Knausgaard, along with the likes of Jenny Offill, Rachel Cusk and Edouard Louis, has written innovative novels that feel almost unnervingly close to life. 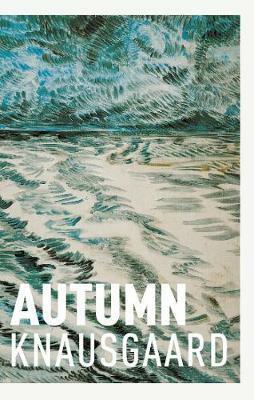 With Autumn, the first book in his new Seasons quartet, Knausgaard is again seemingly trying to work out what a book should do. Presented as a series of notes he’s written to his soon-to-be-born third daughter (and fourth child), the book most closely resembles a collection of, say, short Montaigne essays, or meditations, on everything from tin cans to beekeeping, to the migration of birds, to Van Gogh’s difficult relationship to artistry. Once again, Knausgaard slowly builds a picture of his life, this time by way of discrete, elegant glimpses. In a piece that really got me, we see him wake at 4am, listen to Brahms and then stare at the empty computer screen for hours while, as he puts it, the dark retreats. Suddenly, in the new light, a bird of prey swoops down in an ‘explosion of movement that seems to erase everything else’. It takes him some time to work out what the scene reminds him of – his first shock encounter with the paintings of Munch. This format inevitably favours ideas. He’s surprisingly agile and unconventional when teasing out what, say, war means and does to us, but he’s still at his best and most fluent when he’s winding narrative around those ideas, which he can’t help but do. Oliver Driscoll works as a bookseller at Readings Doncaster.